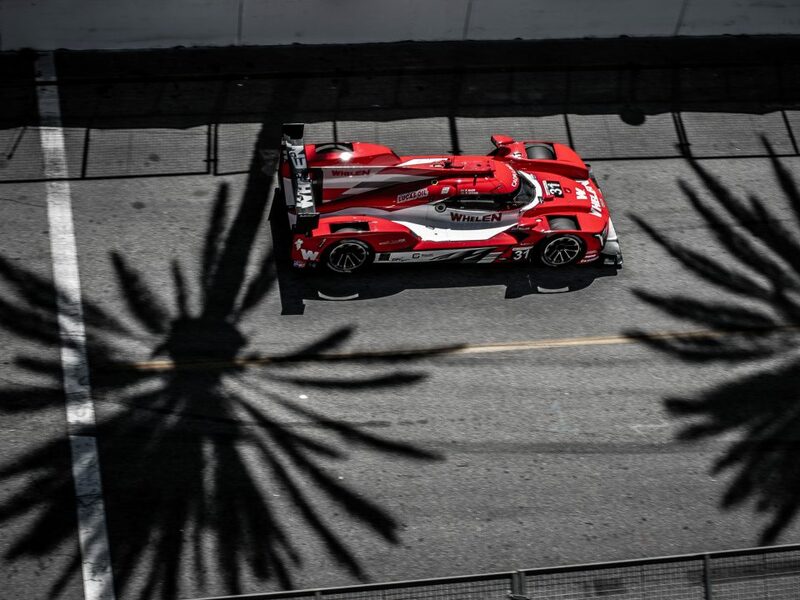 DAYTONA BEACH, FL (27 January 2019) — Going for a second-consecutive victory in the Rolex 24 At Daytona, the Mustang Sampling Racing team fought back from bad luck early in the race to take a seventh-place DPi finish in the IMSA WeatherTech SportsCar Championship season opener. 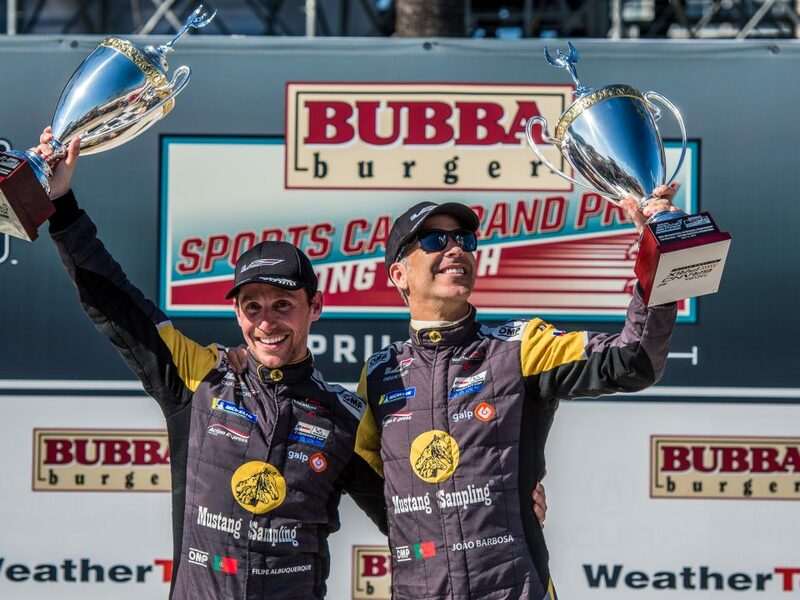 Christian Fittipaldi and Joao Barbosa were in position to score their fourth career victory in the Rolex 24 in the early stages of the event, driving the DPi V.R which was started by regular co-driver Filipe Albuquerque. 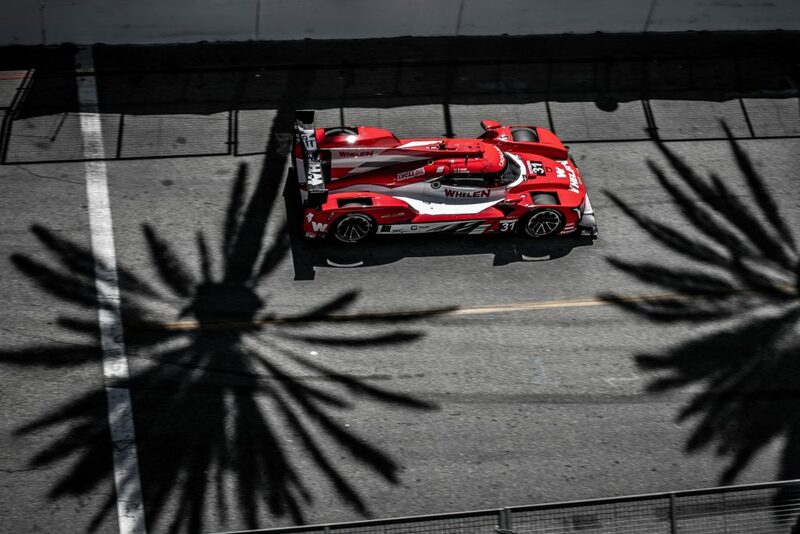 Albuquerque started 11th after missing qualifying due to a mechanical issue, but demonstrated the potential for the effort as he worked his way up to second by the 30-minute mark. Fittipaldi then took over and was clicking off the laps when the team was forced to take to the garage just before the three hour mark to address an electronics issue that was preventing the brake lights from working. Despite having a large task to install new electronics at the back of the car, the team worked quickly but the stop during green flag running meant that the delay dropped the No. 5 car to 45th. From there on, the team worked its way up the scoring pylon into the top 10. Their recovery was hampered by deteriorating weather conditions as the final eight and a half hours resulted in two red flags and numerous extended cautions. 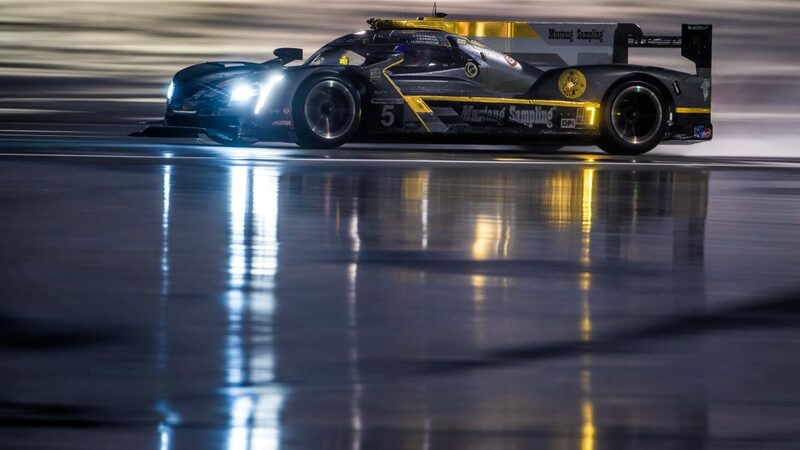 “After the problem, we knew it would be hard to make up any ground, but we kept the car running,” Barbosa explained. “It’s important for points. It was a very odd situation for the team, we don’t usually have these kinds of issues, but that’s racing, they happen. The team dealt with them in a great way and got us back on track. 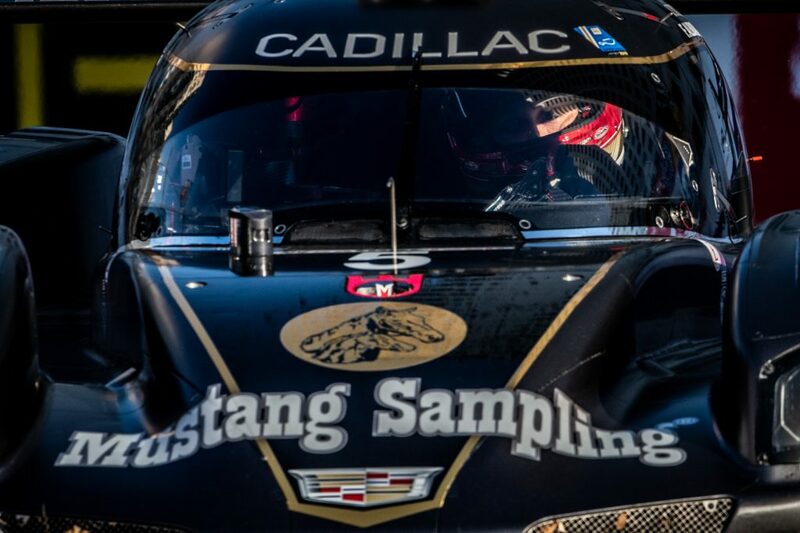 The gravity of Fittipaldi’s final prototype start was not lost on the Cadillac driver as he marked the end of his storied 38-year career. The 48-year-old Brazilian was given a standing ovation by the media following the press conference. Fittipaldi first won the Rolex 24 in 2004, and Barbosa won the event in 2010 in the first race for Action Express Racing. The pair co-drove to victory in both 2014 and 2018. “You guys are the best, and always will be,” was Fittipaldi’s sign-off response to Watt and the rest of his team. 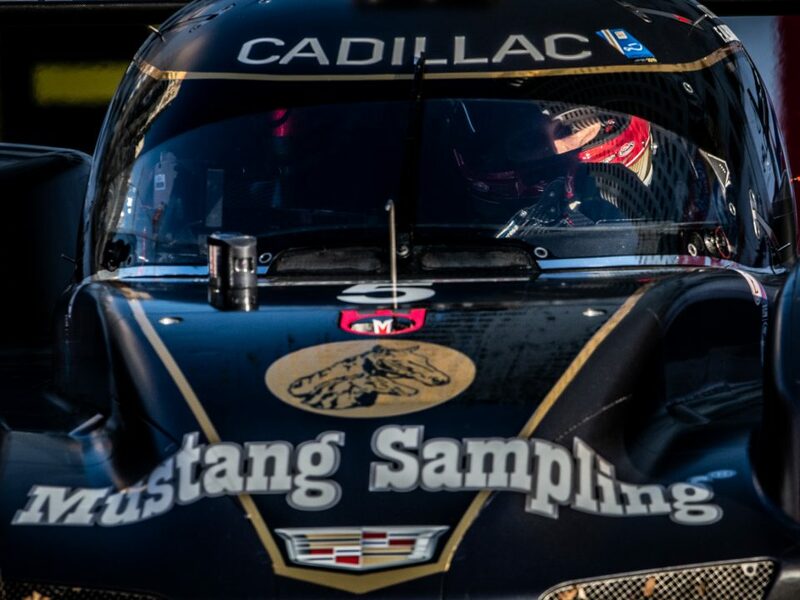 Next up for Mustang Sampling Racing will be the historic Mobil 1 Twelve Hours of Sebring, set for Saturday, March 16, in the central Florida highlands.